Shower in style and protect your crowning glory! 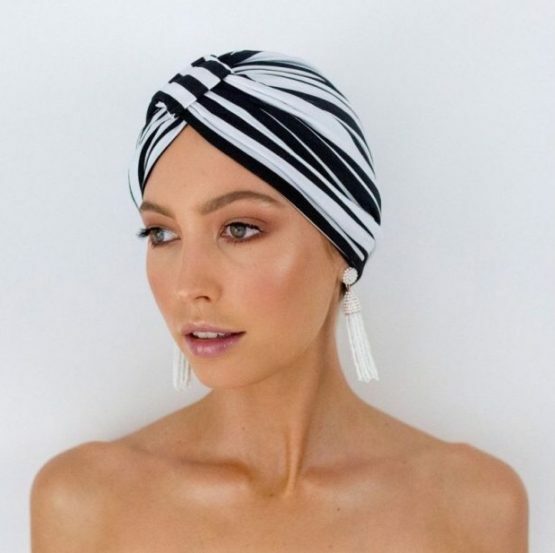 Your blow dry will emerge frizz free with this shower cap created from stretch, quick dry fabric with waterproof lining. 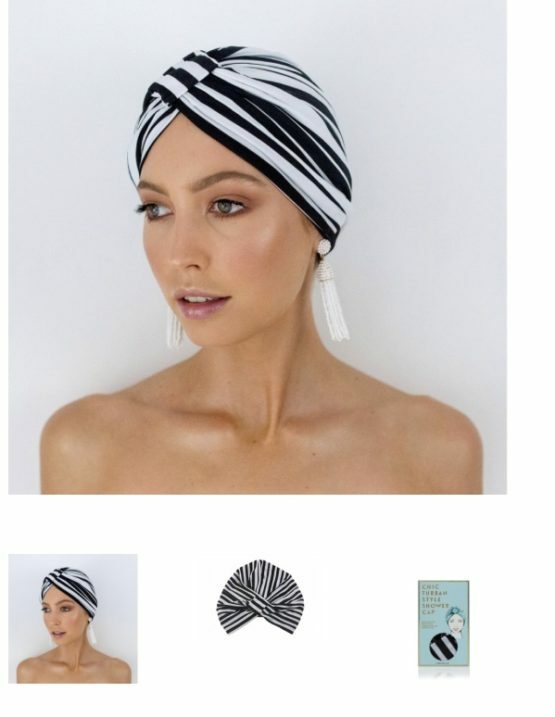 This panelled turban style shower cap is inspired by bohemian glamour, perfect for the modern chic woman. Gather up your luscious locks and put on front to back as you would a traditional shower cap, ensuring all hair is enclosed. For best results, angle the shower below your head. 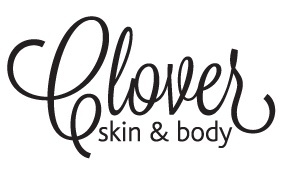 Also ideal to protect your hairline when removing or applying makeup.